Kenya National Assembly Defence and Foreign Relations and Committee Chairman, Ndung’u Githinji has said the proposed motion is aimed at freezing assets of South Sudan leaders who are perpetrating conflict in their nation while their families seek refuge in foreign countries including Kenya, where they have also been accused of investing assets worth millions of US dollars. 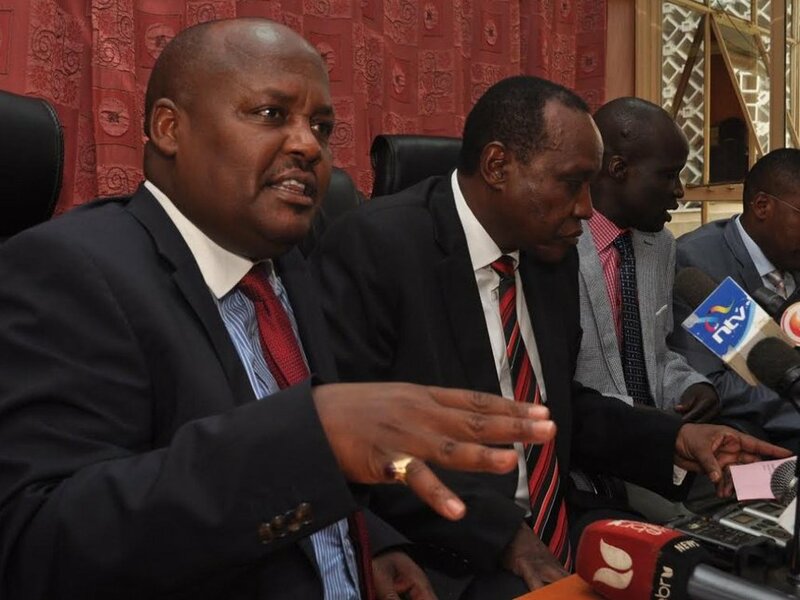 Speaking to the media in Kenya’s capital Nairobi, on Wednesday, Githinji together with other Kenyan MPs from the Security committee led by their chairman, Asman Kamama, supported the proposed motion saying it’s the only way to cut off the financial muscle of those perpetrating war in Juba. “There are South Sudanese leaders who live and invest in Addis Ababa, Nairobi, Khartoum and yet they are perpetrators of war in Juba, that’s why we want to bring a motion to impose sanction on such people to ensure their assets are frozen,” said Githinji. The Kenyan MPs have also called on the East Africa Community (EAC) to take action against South Sudan warlords who are behind renewed fighting in the Eastern Africa Nation that has left hundreds of people dead and thousands displaced since the signing of the peace agreement in Addis Ababa, Ethiopia in 2015. According to the latest report commissioned by American actor, George Clooney, South Sudan’s political and military elite have siphoned money from their country and bought expensive assets in Nairobi and other Capitals within East Africa. Among the many details outlined in the report are pictures of luxury villas, said to be owned by politicians and generals in Kenya, Uganda, Ethiopia and Australia. It says both, President Kiir and Mr Machar have luxurious homes in the same Lavington neighbourhood of Nairobi while other leaders and military generals from South Sudan are accused of purchasing properties in upmarket Nairobi areas of Lavington, Kileleshwa and Muthaiga. The report says President Kiir’s wife and at least seven of his children were linked to a whole range of businesses, and has evidence that Mr Kiir’s 12-year-old son had a 25% share in a holding company. It says a company linked to his brother-in-law, Gen Gregory Vasili Dimitry, supplied fuel to the military while he was a senior officer.